It's almost Farmer's Market season around here (the Columbus Farmer's Market opens the first Saturday in June!) Whenever we're in town, this is always a weekly tradition for us. And we often visit markets when we're traveling. 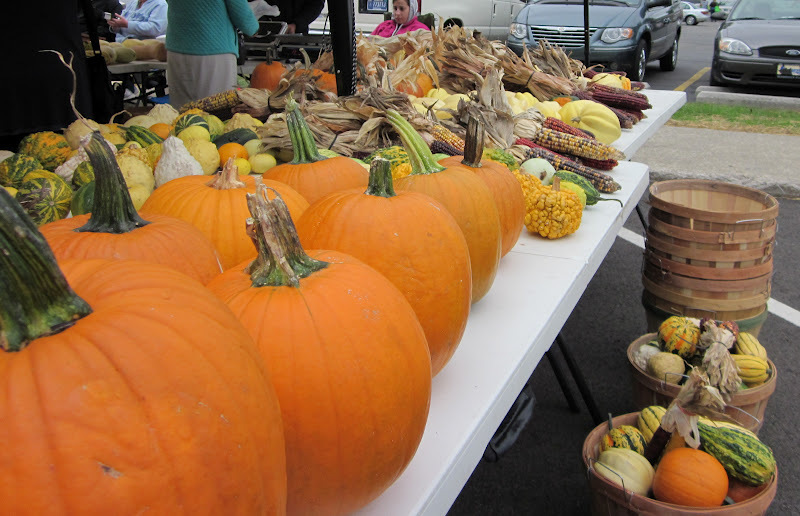 Over at Visit Indiana's blog, I shared some general tips for farmer's market visits. But going with kids make a trip a little different, so here are four kid-specific farmer's market tips. 1. Seek out some kid-friendly activities. I have found that most markets have these. For instance, at St. Petersburg's Saturday Morning Market, there was a booth with baby chicks that kids could hold and touch. Kidscommons, the children's museum in Columbus, often has a booth at our market with bubbles and crafts for kids. My son is much more patient when we do the rest of our market shopping if he gets some play time too. 2. Let them select some fruits or veggies. This is a great idea if you have a picky eater. I do this at the grocery store, too. Big Arrow usually gets to pick out a produce item, and he's much more likely to try it at home. 3. Give kids a budget. Many markets offer a lot of tasty treats of the sweet, sugary variety. It can become a hassle if your children beg you for something everytime you stop at a booth. This year, we plan to let Big Arrow have a couple of dollars each time we go to the market to select the treat of his choice. He's going to have to earn the money by helping out around home. And it will give him something to look around for as we wander through the market. 4. Go on a scavenger hunt. It can be pretty simple, like finding something red, green and blue. Or if your kids are a little older, challenge them to find more obscure vegetables. Count the number of dogs you see or the tents. Simple tasks like this help to challenge kids and keep their minds busy! Whatever you do, make it fun. Our weekly trip to the farmer's market is one of Big Arrow's favorite things to do. What do you love most about farmer's markets? MORE: You can read about our visits to farmer's markets around Indiana here. I reviewed the Chesterton European Market in northwest Indiana for Visit Indiana here. Soon, I'll be writing about the St. Petersburg Saturday Morning Market. This post is a part of Travel Tips Tuesday at Suitcase and Sippy Cups and Walkingon Travels. I'm also linking up to Wanderfood Wednesday at Wanderlust and Lipstick. Thanks for this post...I love the scavenger hunt idea! Great tips! 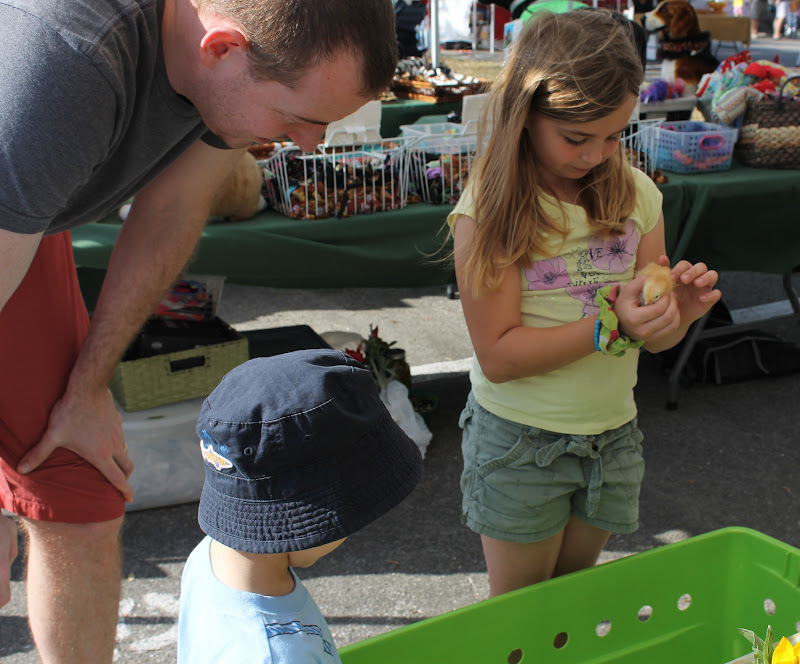 Our family loves farmer's markets, both at home and on the road. We go less for the groceries than the experience and sometimes make it part of a day out in the city. It's a fun way to feel like part of the community. At the two markets near our home, there are playgrounds and live music. There are always fun treats and a budget is a great idea, though there are plenty of free samples too. Don't forget to bring a cooler for your car, plenty of cash, and your own grocery bags. Great tips! We just had our first farmer's market "preview" in Salt Lake City this past weekend, and our toddler loved it, especially after we bought some fresh squeezed lemonade and let her sip on it throughout our shopping. :-) I like your suggestion about letting the kids pick out some fruits and veggies...that would definitely get them involved in a healthy way!